Already winning awards it's not only good looking but with the very latest in technology and power. The ATECA is taking the SUV sector by storm! mood lighting - choose from 8 colours of interior ambient lighting! How do you feel today? More awards - we're running out of space here! One year on from claiming its first major UK award, the Ateca’s winning ways show no sign of slowing after it drove away with the accolade of Car Dealer magazine’s Car of the Year. 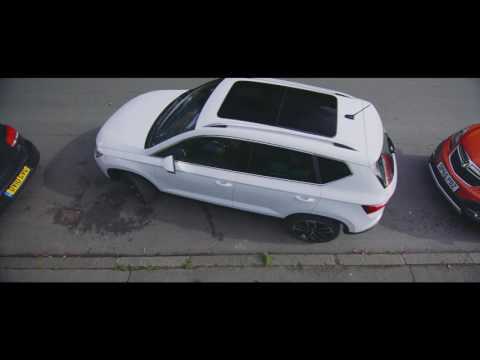 Success in the Car Dealer Power Awards adds another dimension to the Ateca’s all-round appeal, as it is based entirely on the opinions of the people working in Britain’s car dealerships, across all brand franchises. James Baggott, Car Dealer’s editor, pointed out that SEAT’s first SUV clinched the title thanks to a healthy haul of votes from dealers representing rival manufacturers. Accepting the award, Richard Harrison, SEAT UK Director, said: “We knew the Ateca had great potential to succeed, and the impact it has had in the UK has surpassed even our own ambitious aspirations. Can't wait to drive one and see for yourself? - book a test drive now!